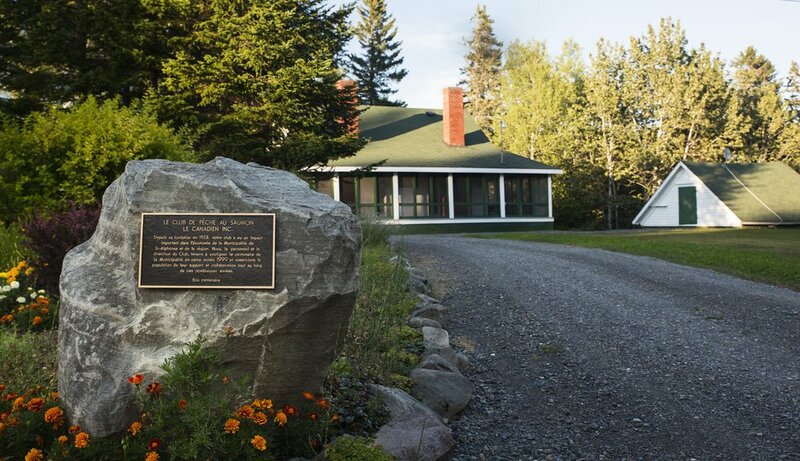 Nestled in a peacful valley and only steps away from the clearest salmon river in the world you find "The Club" one of Atlantic salmon fishing's finest gems. At the Club you will find the perfect balance between a full service destination and the freedom to relax and feel at home. Historic buildings, lovingly restored with a painstaking eye for detail. The Club features six private bedrooms each with a private bath and screened poarch. 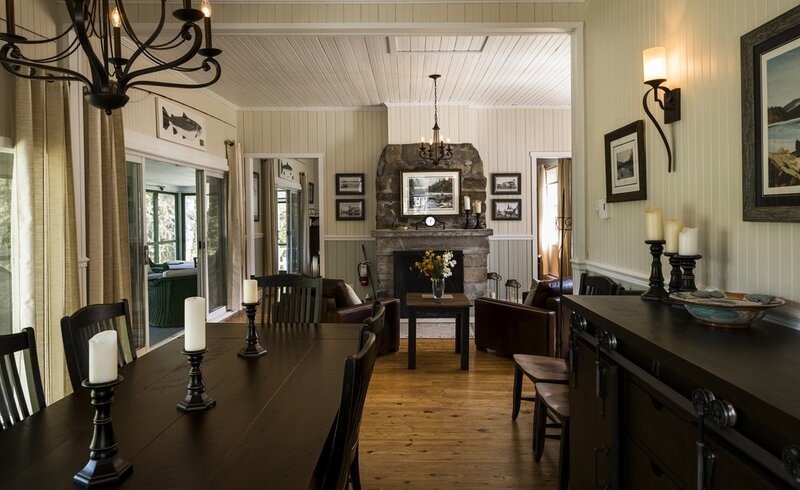 The main lodge boasts a comfortable and well appointed "great room" with a wonderful fireplace and cozy leather furniture. 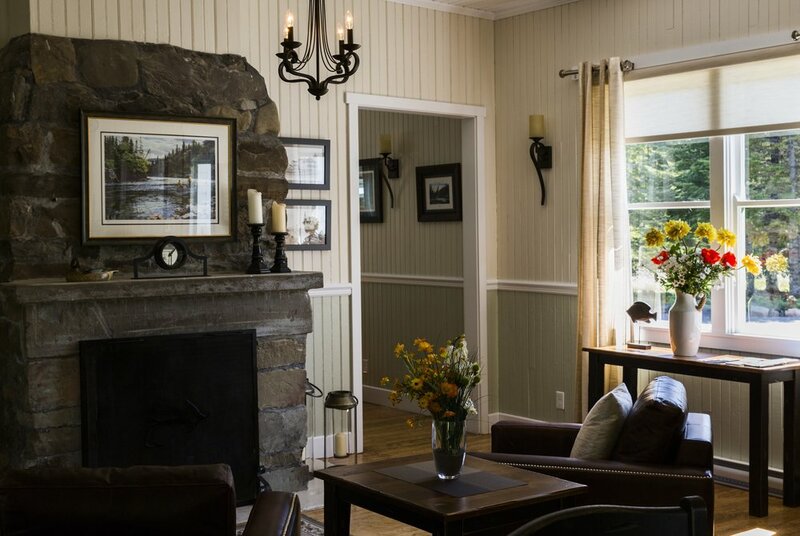 Overlooking the river, our dining-room has the best view of the river, with its own fireplace, its the perfect setting to enjoy a delicious meal after a day on the river. 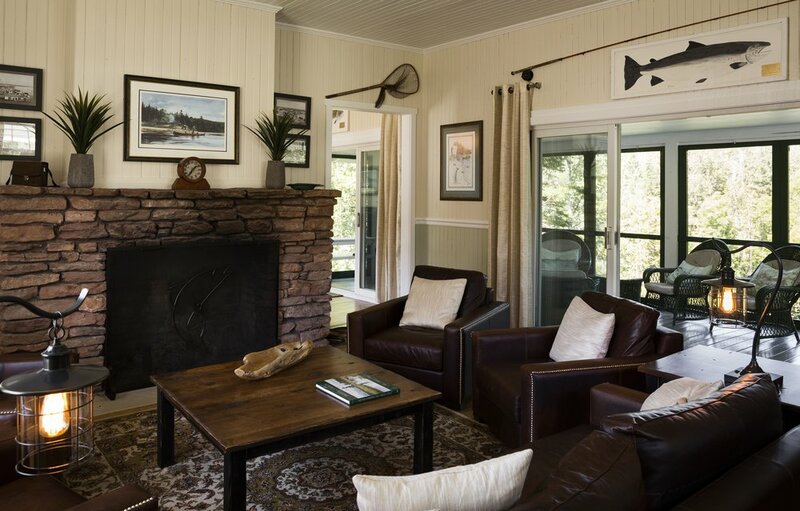 Complementing this great setting is our huge wrap-around screened porch complete with big comfy chairs. Relax and enjoy a morning coffee or an after diner drink while listing to the rivers song. Fresh coffee is available as soon as you rise and breakfast is served at 7AM. Hot coffee or tea, juice and fresh pastries are served every morning along with fresh fruit, cereals and oatmeal. Our menu includes pancakes, omelets, bacon, sausage and hash browns. Healthier choices are also available. After an exciting morning on the river lunch is served at the lodge. Sample and enjoy some of our regions best recipes and many local favourites. 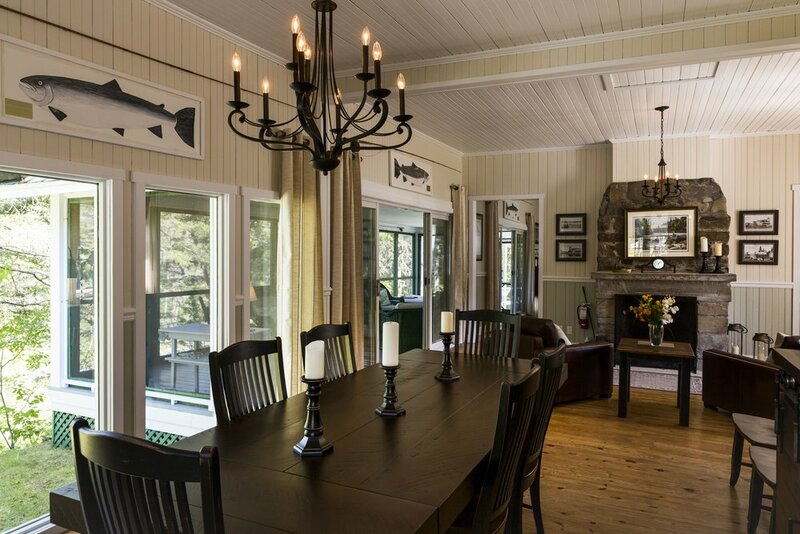 Evenings at the lodge begin with appetizers served in front of a blazing fire or out on the porch overlooking the river. 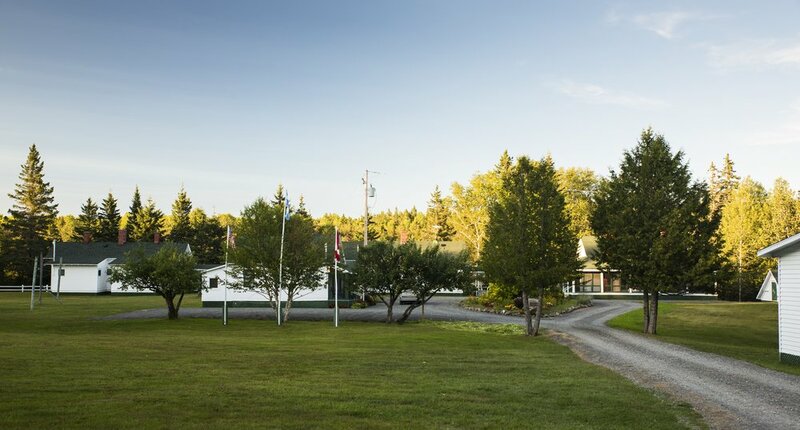 Diner is served in our dining room, fresh salads, soups and chowders, main courses include fresh local lobster and seafood and sizzling steaks from the grill, to mention a few. Wine is included with lunch and diner as well as all alcohol , mix and bar ingredients. We also cater to guests with special dietary requirements.